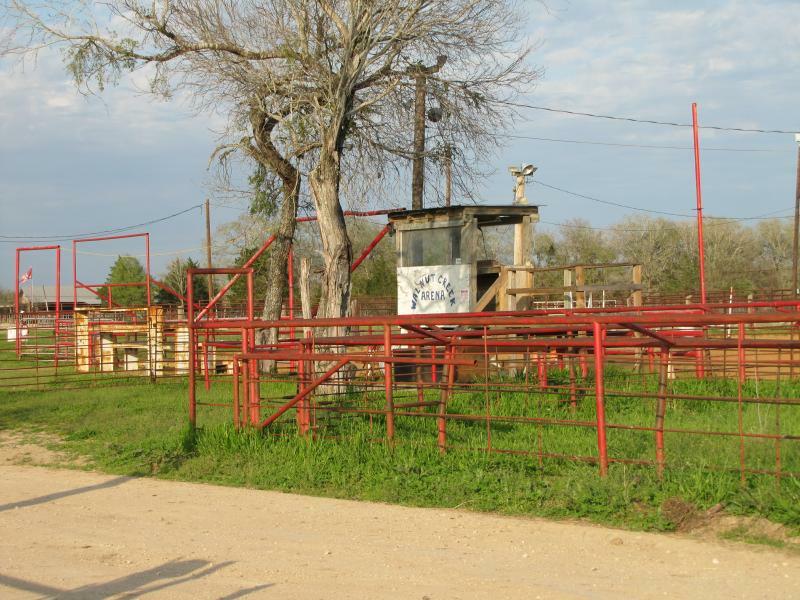 There are 2 uncovered arenas at the ranch which are available for roping, barrels, play days, horse shows, training seminars, bull riding and just about any other event involving horses. One is setup for roping, barrel racing, play days, and horse shows. The other is setup for bull riding. Each arena has an announcer booth and lights. There is a full set of working pens at the back of each arena.. Both arenas can be used for working your horse or warming him/her up for a trip down the trails. There is also a round pen available if needed. Use of arenas are $5.00 a day. Trails are $10.00 per day. The Walnut Creek Ranch Bunkhouse is more than just a place to sleep. It has a full kitchen, dining area, den, toilets, shower, washer & dryer and beds for ten. Bring your own linens and pillows for the beds or sleeping bags if you have more than ten. The bunkhouse can be rented by the night, weekend, or weekly. Overnight rate is 125.00 There is plenty of room to park your trucks and trailers. There are also plenty of pens for your horses. If you really want to rough it, bring your camping gear. You can camp down on the creek in the pecan bottoms for $10.00 per person. Camping includes use of toilets & sinks. Call Lucinda Crain at 512-426-3882 for more information or to schedule a visit. 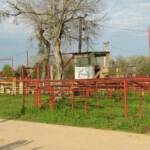 The Walnut Creek Pavilion is located at Hwy 20 and Pleasant Chapel Road, Rockne, Texas. The pavilion has been glassed in to cut the winter cold and a new kitchen added. The pavilion is available for special occasions such as Birthdays, Family Reunions, Christmas and New Year's Parties, Business or Organization events. Rusty can cater your event from the kitchen or fire up his pit for old fashion Texas BBQ. RV Hook-ups are $25 a night, this includes water and electricity. Pens for your horse for an overnight visit are $ 10 a night, water will be provided.